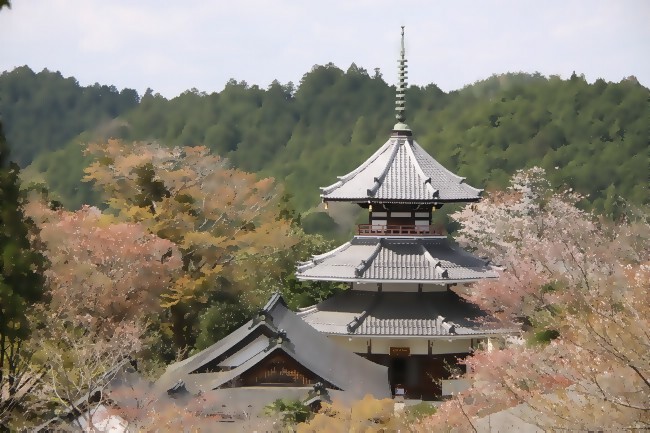 Yoshinoyama in Nara Prefecture is arguably the most well-known cherry blossom spot in all of Japan. 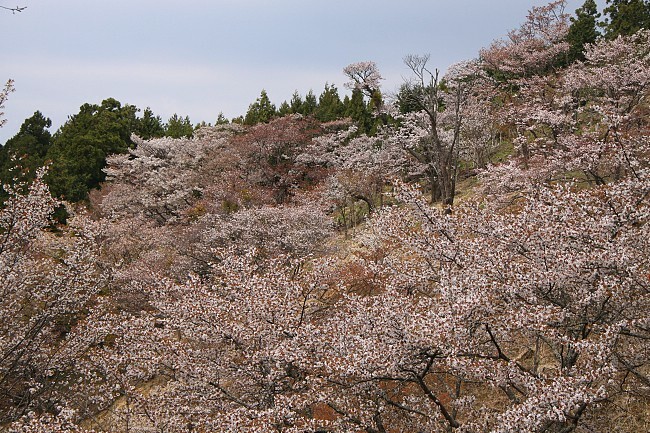 On the northern slopes of the mountain, thousands of cherry trees of various varieties are planted, the majority of which are Yamazakura cherry trees. 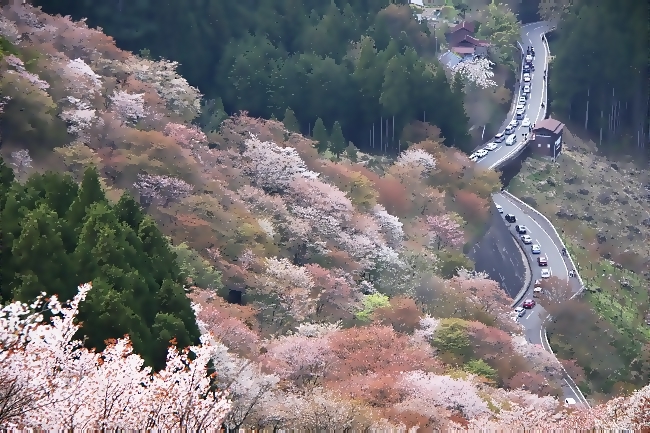 During the cherry blossom season each year, visitors can enjoy brilliant views here as they walk along the roads that lead up the mountain. 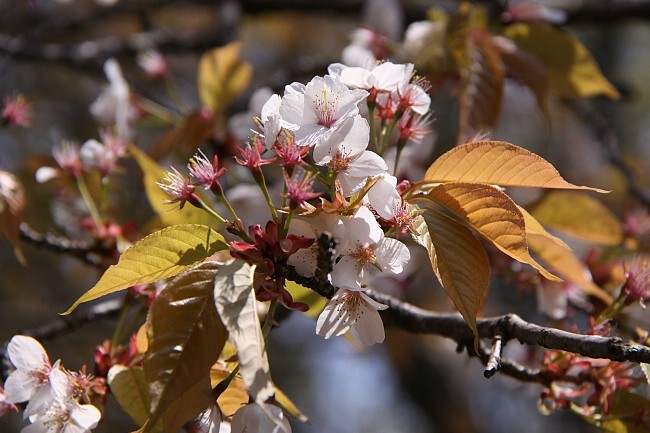 The cherry trees at Yoshinoyama are famously divided into four sections: Shimosenbon ("Lower 1000 Trees"), Nakasenbon ("Middle 1000 Trees"), Kamisenbon ("Upper 1000 Trees") and Okusenbon ("Innermost 1000 Trees"). 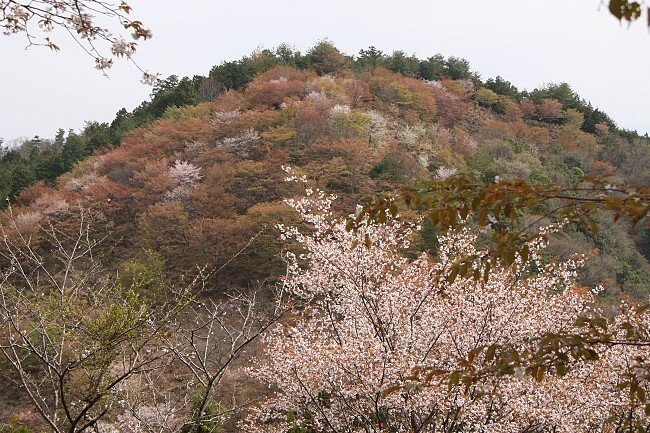 This year the flowering season arrived early and peaked on April 5th at Shimosenbon and Nakasenbon; the trees at Kamisenbon were already in full bloom on April 6th. 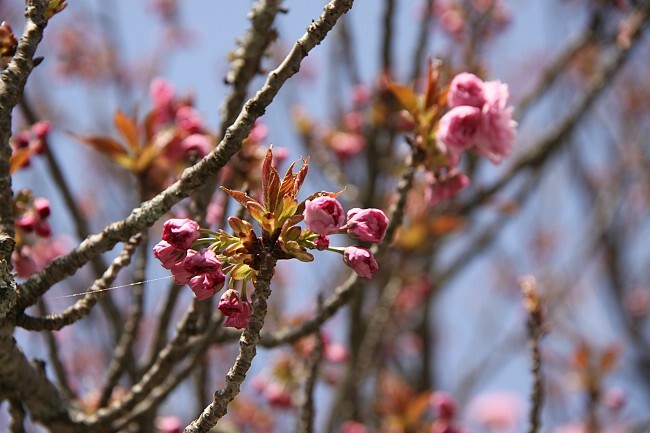 Unfortunately, this past weekend saw horrendous weather in many areas of Japan. 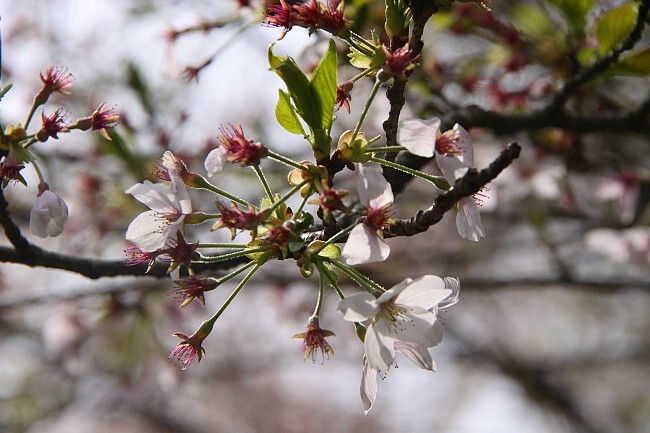 The strong rain and winds resulted in the premature demise of many blossoms at Yoshino, as at some other locations as well. 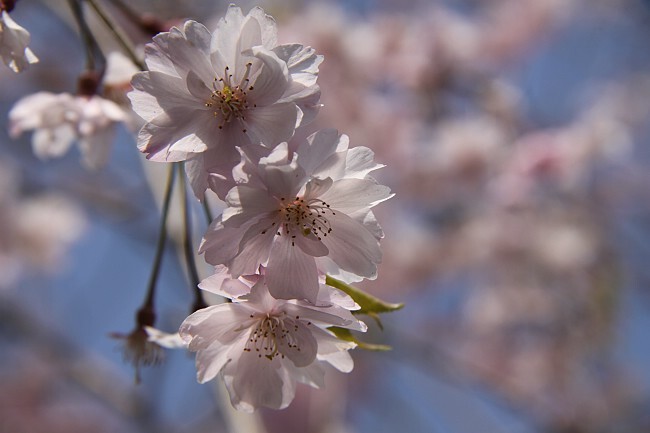 In dramatic fashion most of the cherry blossoms at Shimosenbon opened and then faded away within a period of three to four days. A friendly shop owner was telling me how the season had started about a week earlier than usual but regrettably ended really fast. 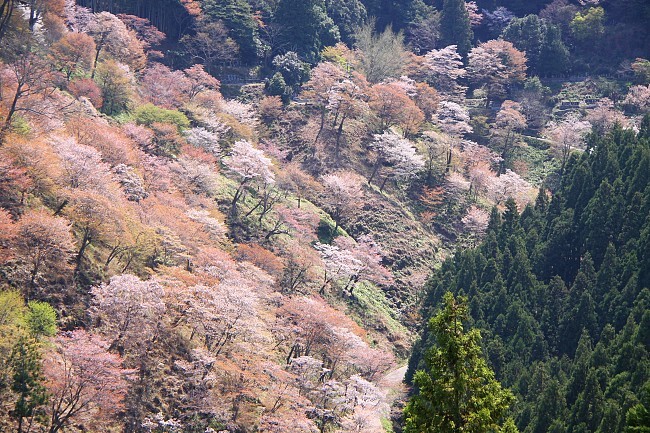 That having been said, the bronze leaves of the Yamazakura, red calyces of the petal-less Somei Yoshino, whitish-pink from late blooming varieties of cherry blossoms, and the evergreens, combined to produce a somewhat peculiarly appealing scene of sakura and apparent autumn colors. 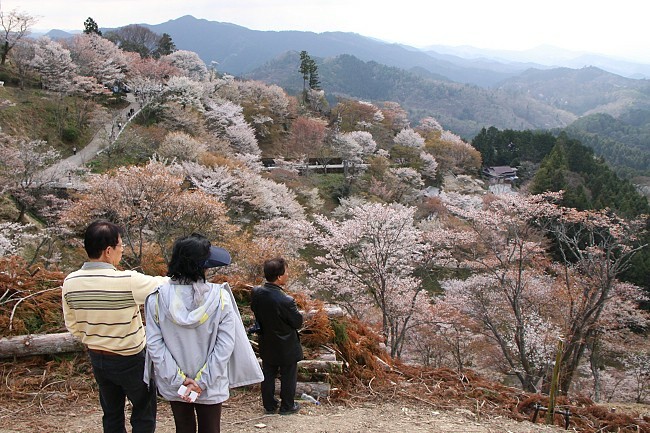 Most cherry trees at Nakasenbon were similarly past their peak, but huge crowds still poured in to enjoy the nice mountain views anyway. 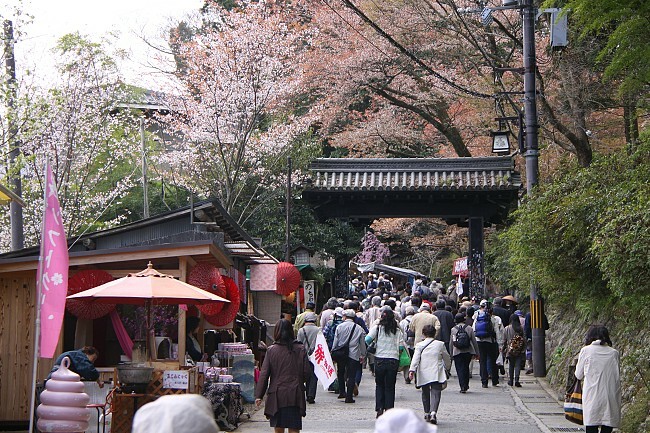 Cherry blossom views got increasingly better as I climbed towards Kamisenbon. The colors were still pretty saturated at these high elevations, although with every gust of wind petals were observed fluttering gracefully through the air. 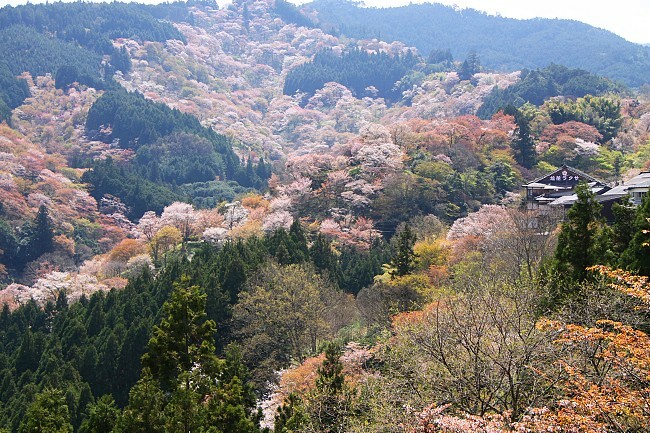 Even though the most spectacular views for cherry blossoms may be over this year at Yoshinoyama, I think it still warrants a visit if you are in the area over the next week or two: firstly, the mountain has great attractions such as Kinpusenji, Sakuramotobo, and many others which make it a worthwhile destination; secondly, the slopes of the mountain are dotted with many cherry trees of late blooming varieties, which will provide good views in combination with the mountain landscape.